Spray the bottom side of a muffin baking pan with nonstick cooking spray. Using 2-3 cookie dough rounds, mold them around the outside of each muffin tin. (Do every other tin since they spread when baking). Bake for 10 minutes and allow the cookie cups to cool completely before removing from the tin. 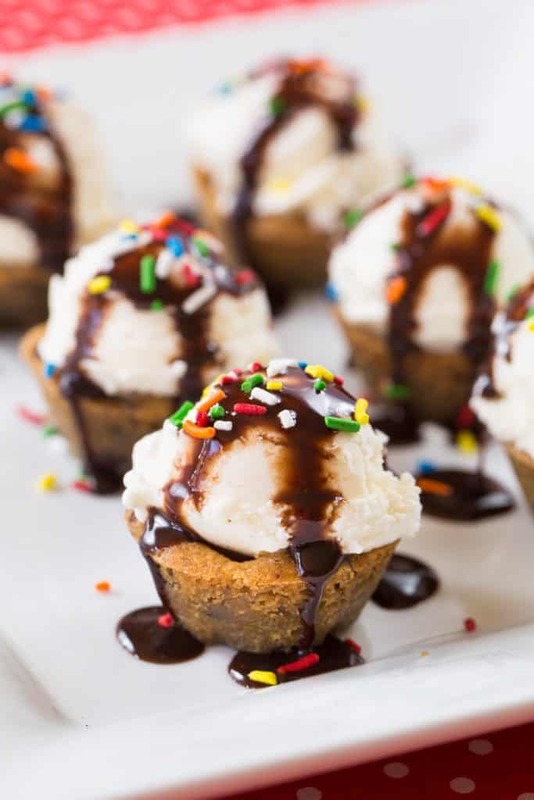 Now use your edible cookie cup to make an ice cream sundae with all the fixings!